After the super-successful Pokiri in 2006, director Puri Jagannadh teams up yet again with the dashing Mahesh Babu in The Businessman (which comes with the tagline: 'Guns Don't Need Agreements'). The film opens on January 13, a day before the three-day Sankranti festival. Produced and distributed by R R Venkat, The Businessman also stars Kajal Agarwal (who is acting with Mahesh for the first time), Prakash Raj, Sayaji Shinde and Nasser. The dubbed versions of the film in Tamil and Malayalam will release a few weeks later. A happy Puri Jagannadh said, "The film took three-and-a-half months from start to finish. Mahesh worked for 65 days. He has performed well in the film. One can see only Mahesh in the movie. His characterisation is good. Mahesh is the entertainment in this film. There's no Brahmanandam or Ali to provide the entertainment, but Mahesh does it." 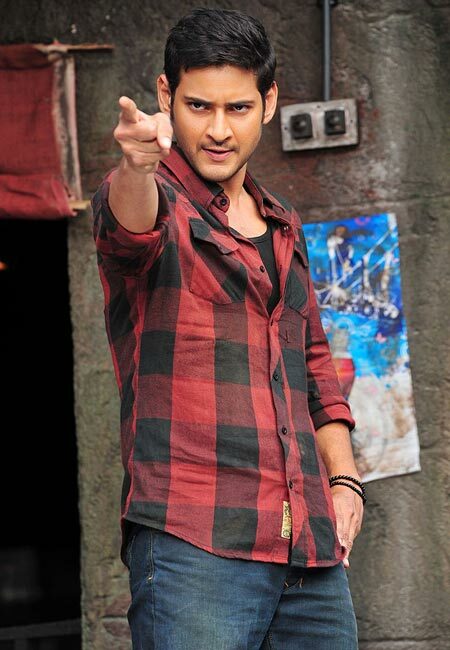 Puri also mentioned that there were a lot of changes in Mahesh after Pokiri. "His voice has changed. As a performer, he is in a different range. The Businessman will not have so much violence and action as Pokiri. So don't expect the same kind of dialogues as Pokiri." Another talking point of the film is Mahesh and Kajal Agarwal's kissing scene. Shweta Bharadwaj does an item number in the film. S S Thaman, who is riding a wave of success with Dookudu, composes the music for The Businessman. The audio was released simultaneously in three languages -- Telugu, Tamil and Malayalam. Two lakh copies were sold on the very first day, Thaman said, and Puri added that the Sir Osthara song is rocking. In fact Mahesh and Puri have lent their voice to the theme song. Bhaskarabhatla, who has written all the lyrics, said it was rare for one lyricist to write all the lyrics in a film, "but I wrote all the songs. I travelled with Jagan and discussed the lyrics". The Businessman was shot mostly in Mumbai. Shyam K Naidu handled the camera and S R Sekhar edited the film. The Businessman will be released in more than 1600 theatres worldwide with 100 theatres in the United States of America alone.